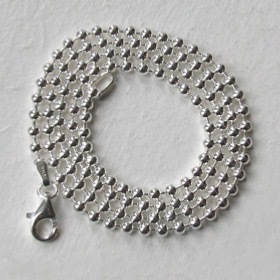 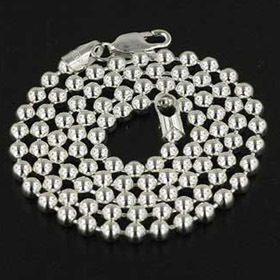 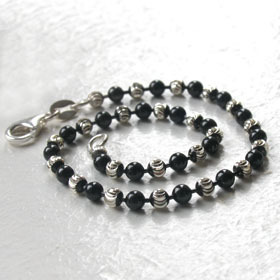 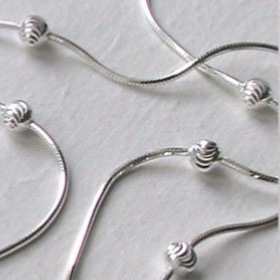 Italian sterling silver ball chain, width 12mm. 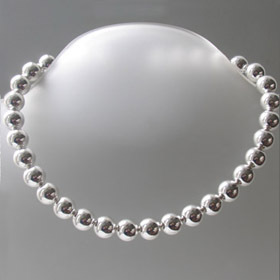 This stunning silver ball necklace is a show stopper and looks wonderful inside a shirt or over a plain top. 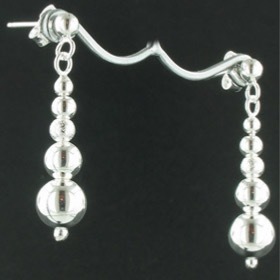 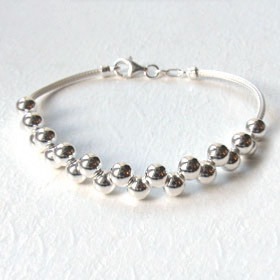 The silver balls measure 12mm in diameter and are perfectly smooth. 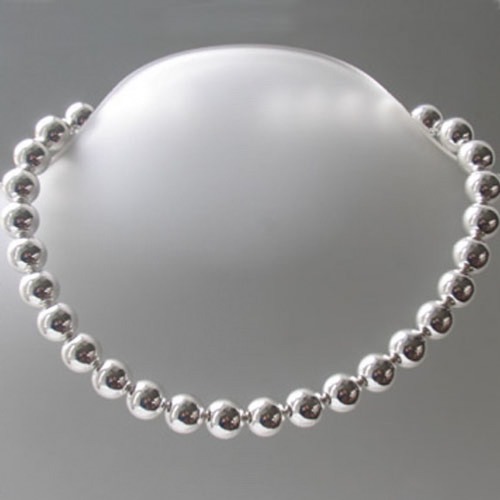 This is a chunky silver necklace with great presence! 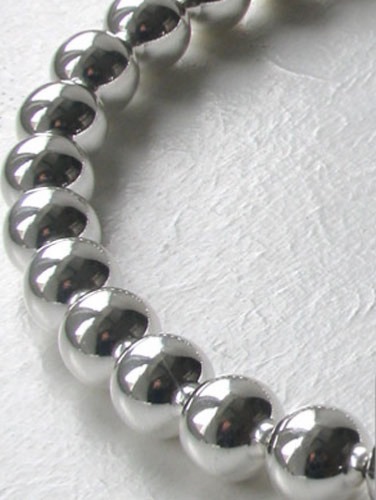 The balls are continuous, without spacers between and shine gorgeously. 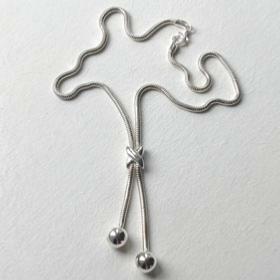 The necklace fastens with a sturdy lobster claw clasp. 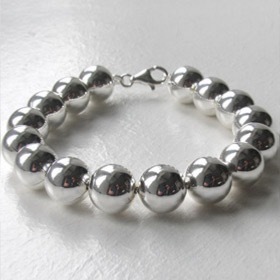 See the matching silver ball bracelet.